Xbox One 'always online': What does it mean for gamers? The "Xbox One always-online" issue has raged for what feels like forever and, even until yesterday, nothing had been publicly confirmed by Redmond. - though he didn't elaborate much beyond that. 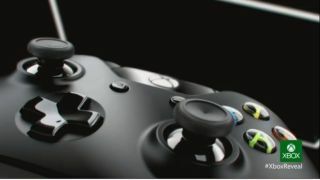 Now we finally have a concrete answer thanks to some new information posted by Microsoft in three separate posts on its Xbox One wire - but it might not be quite what you were hoping for. In fact, you could say we've done a bit of a 360 on it all. Microsoft, confirming what Harrison said during the console reveal, has said that the Xbox One will need to be connected to the internet at least once every 24 hours or else you'll be booted off. This isn't quite as demanding as actually living off an internet connection, but it's still had gamers kicking off over the last 24 hours, and it's easy to see why. You will, however, still be able to play DVDs, Blu-ray and live TV if you go offline. Nonetheless, if you fancy taking your Xbox One out for a trip into the rural countryside, we expect you won't be getting much play time out of it. Ok, but why is Microsoft doing this? The reason behind this is a horribly tangled DRM problem. When you buy certain Xbox One games, they'll come with a licence to play the content. If you then trade that game in, the license is removed from your account and the Xbox One will delete the game from your hard drive. The connection is required in order for the Xbox One to check with Microsoft's servers whether you still have this licence or if you've sold it on in the last 24 hours. "Jokes on them, I'll be playing my games from a disk!" some of you might be crying. Well, Microsoft has also confirmed that discs are simply a means of installing the games onto your hard drive. Once they're on there, the CD is pretty much useless until you want to trade it on. It will be down to the publisher to decide if and how these licences are used. They can block the trading or resale of used games if they like, or charge a fee for you to do so. Right now, it seems that Microsoft is trying to address the piracy issue without rolling out a console that just blocks all used games. However, if publishers all decide to put harsh restrictions in place, then it might as well have. As for the physical internet connection, the impact that demand is going to have, of course, depends on your setup. Microsoft says gamers will want a 1.5Mbps or better broadband connection to get the best experience with Xbox One. "For reference, the average global internet connection speed as measured by Akamai was 2.9 Mbps," Microsoft wrote on a news post. That may be true, but it's still an average. Not everyone enjoys those speeds, and many don't even have an internet connection at all. We don't expect that having a slow internet connection will affect you when you're actually in-game, though Microsoft also adds that, "Games that are designed to take advantage of the cloud may require a connection." So there you have it. The Xbox One is essentially still an always-online console, despite not demanding a constant connection. Will the PS4 have a similar policy? We'll find out on Monday. All we know right now is that Microsoft may have a challenge on its hands at E3 next week to win many of its gamers back.